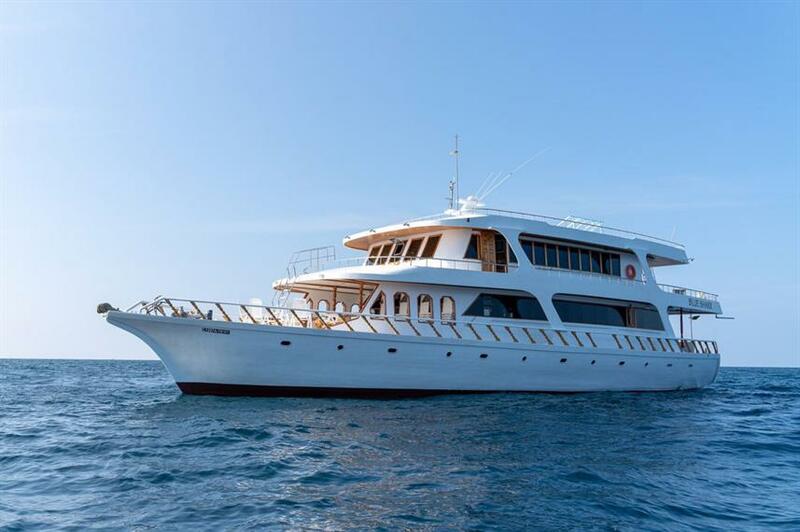 The 30m Blue Shark 1 yacht offers good value dive liveaboard trips in the Maldives. 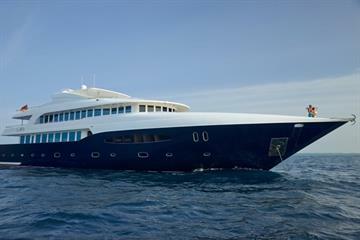 With 9 cabins on board located on the lower deck, she caters to a maximum of 16 guests. 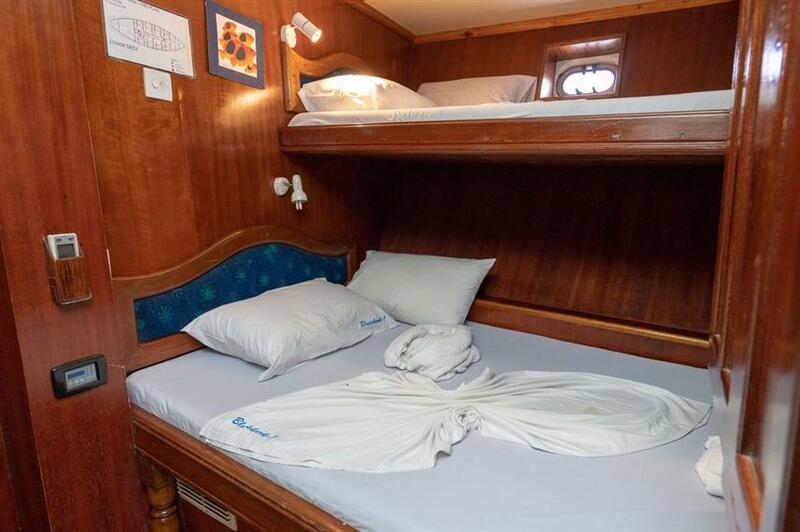 Each cabin has a double plus single bed, individually controlled air-conditioning and en-suite bathrooms. 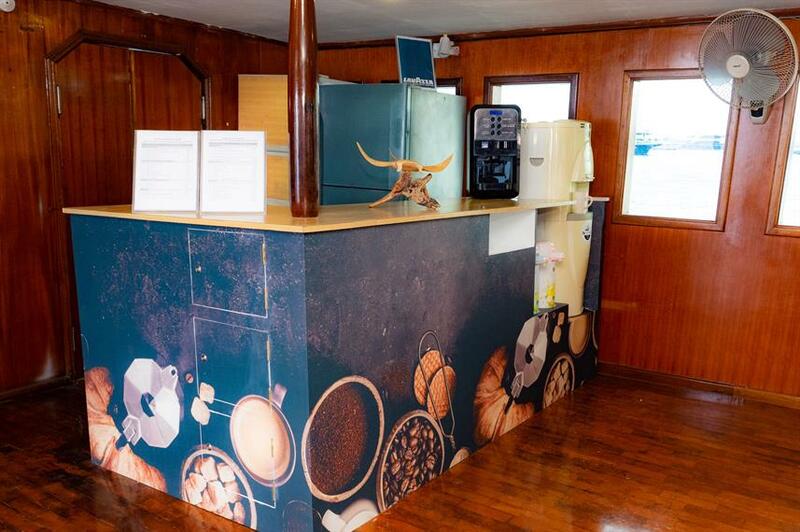 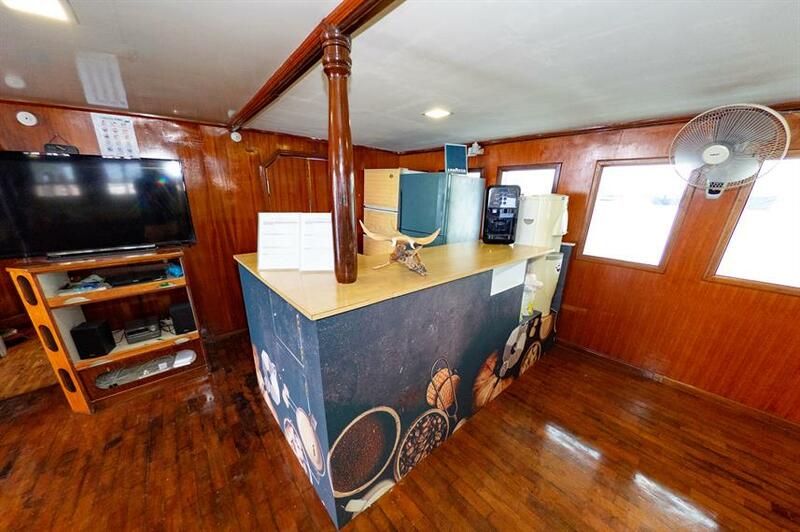 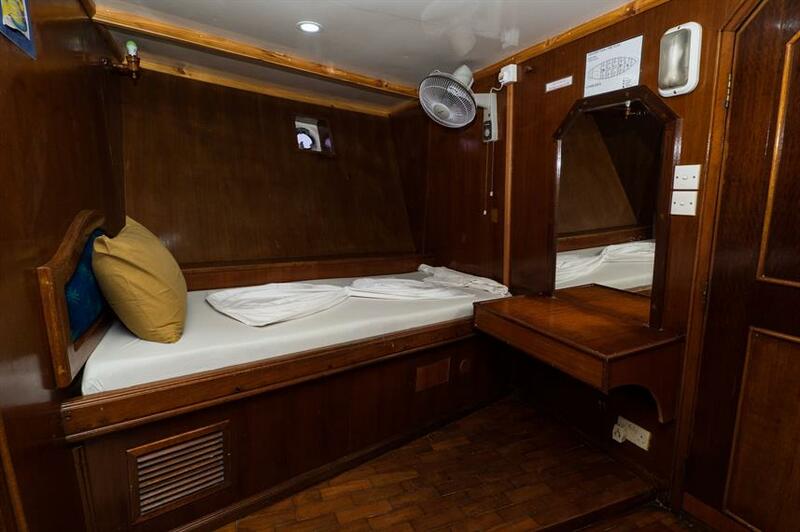 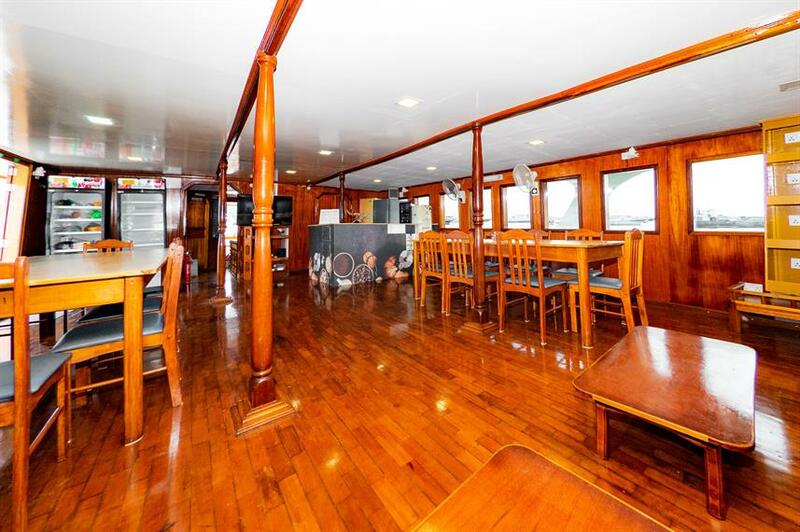 The Blue Shark 1 liveaboard also has an air-conditioned salon and dining room where 3 meals per day plus snacks will be served buffet-style. 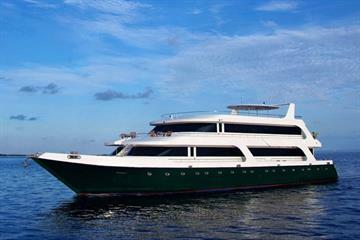 The cuisine is a mixture of international and Maldivian dishes, with a wide variety to suit everyone. 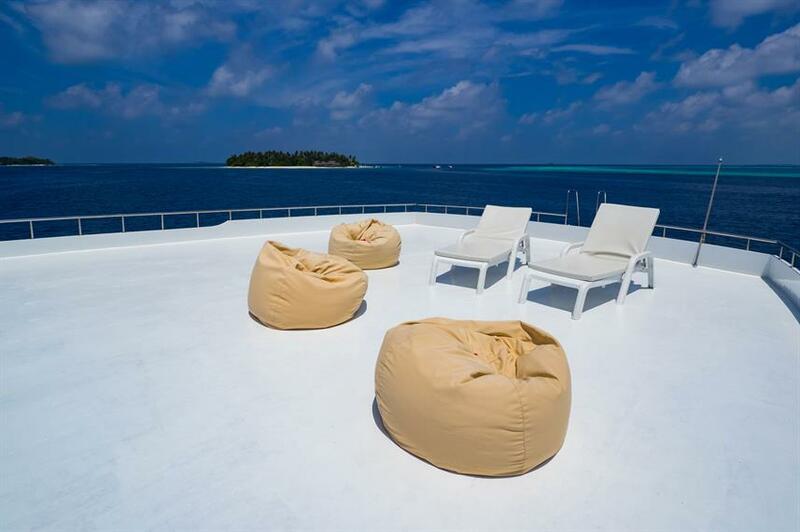 The large sundeck has cushioned loungers and beanbags to allow plenty of space for relaxing in between dives. 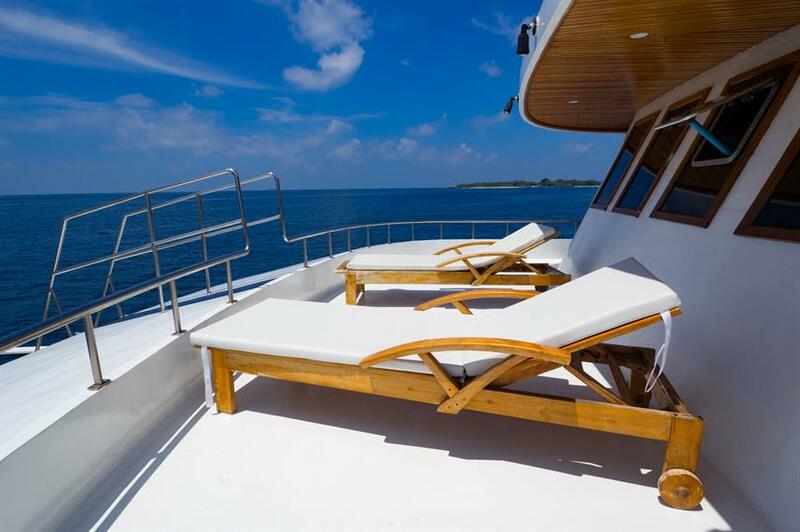 There is also an additional partially shaded outdoor lounge area perfect for enjoying the sea breeze and stunning sunsets. 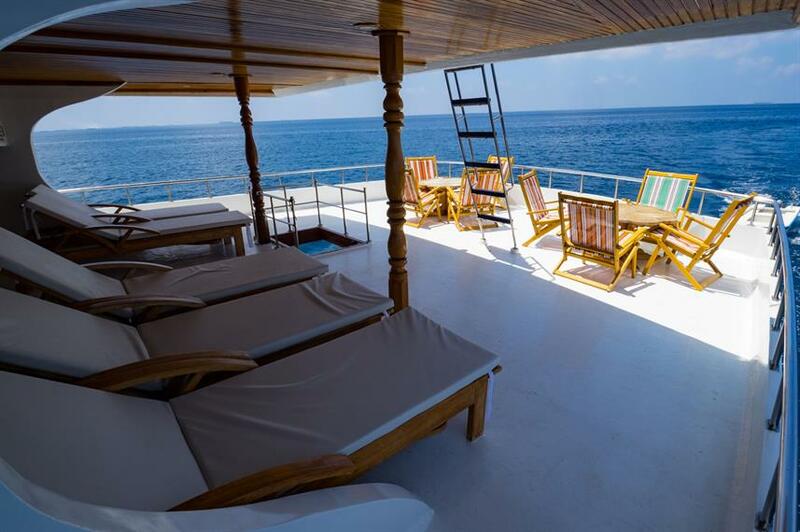 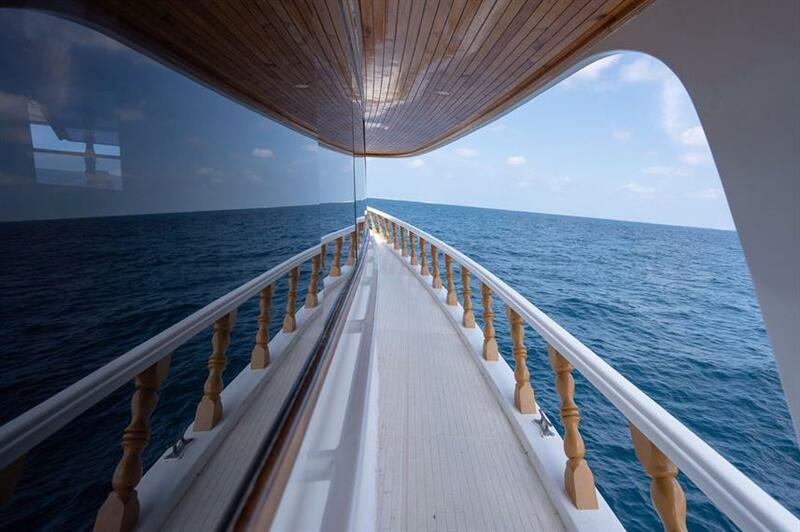 Diving takes place from the dedicated dive Dhoni, to maximise quiet and space on the main vessel. 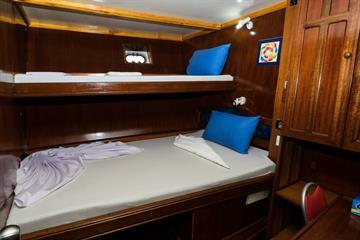 The Blue Shark 1 liveaboard offers several exciting diving itineraries. 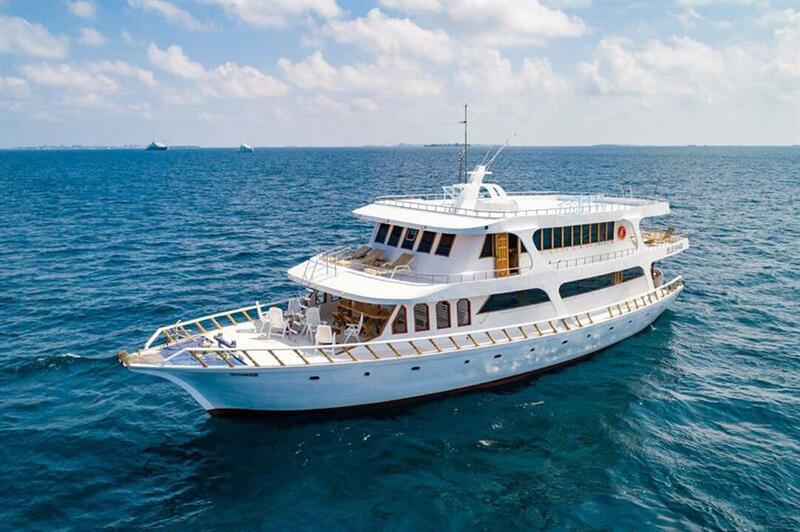 The 7-night Centre Atolls is available year-round and offers the chance to dive with manta rays, whale sharks and reef sharks. 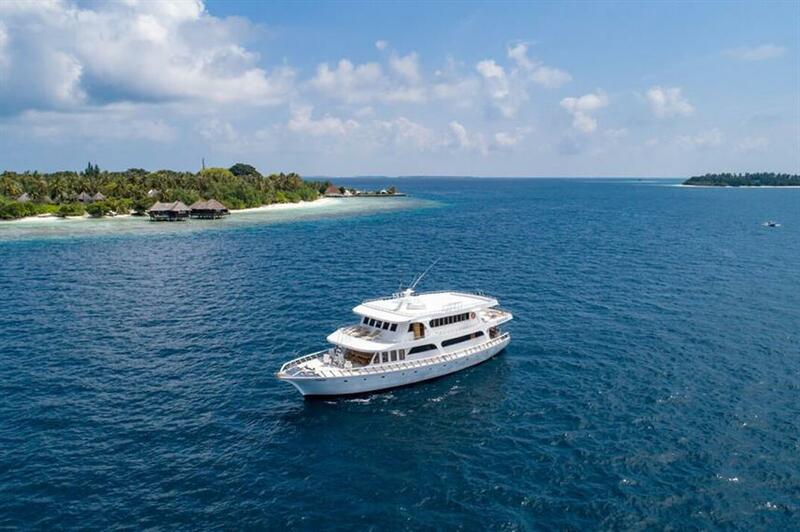 The longer 14-day 'Best of Maldives' itinerary is perfect for those with more experience who want to enjoy exhilarating drift diving, pristine dive sites and sightings of larger marine life. 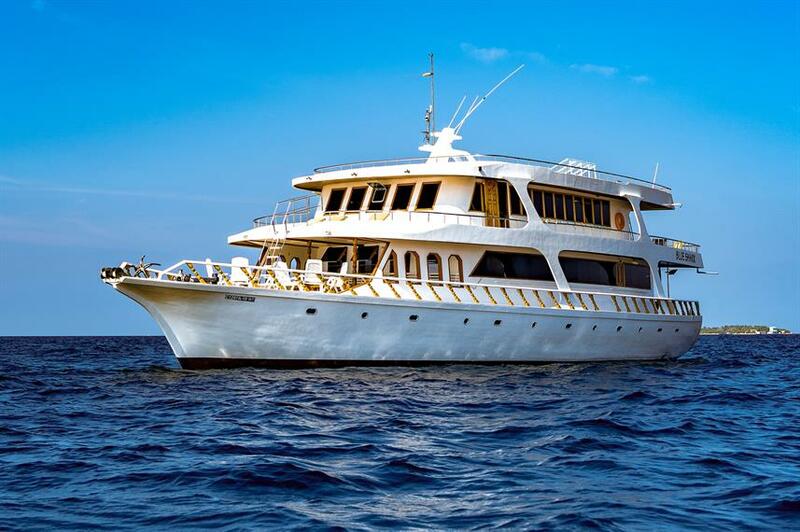 The experienced and professional crew are on hand to help you to get the most out of your Maldives diving vacation. 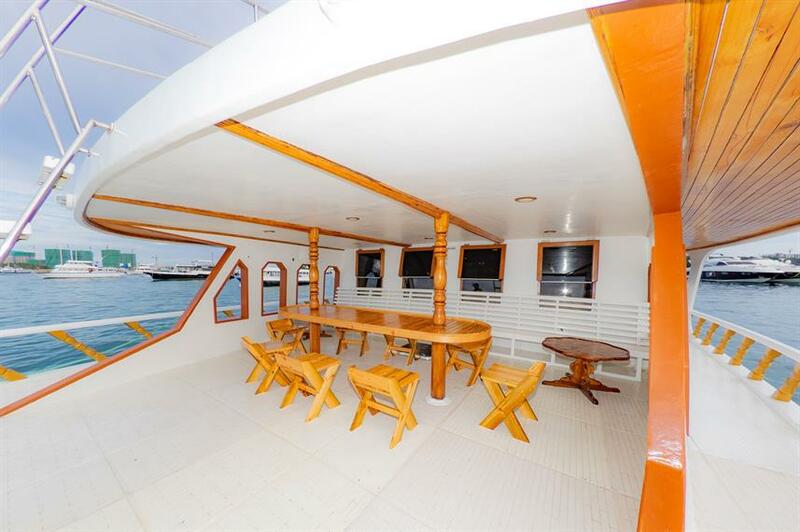 Call us or book online today to reserve your space. 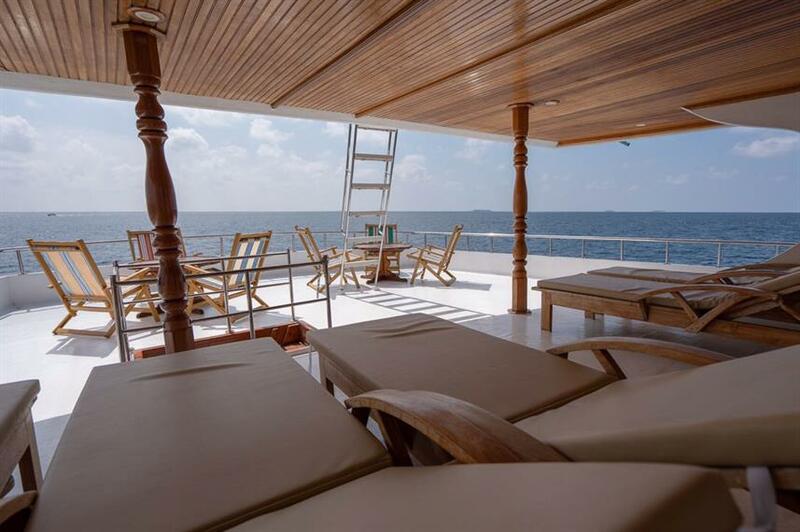 Inklusive: MwSt., Hafengebühren, Treibstoffzuschlag, Visa und Gebühren, Flughafentransfer, Tee & Kaffee, Trinkwasser, Willkommens-Cocktails, Snacks, Strand-Barbecue, Vollpension (alle Mahlzeiten), Tauchpakete, Fischen, Landausflüge, Handtücher zur Nutzung an Deck, Kabinenhandtücher, Strandhandtücher. 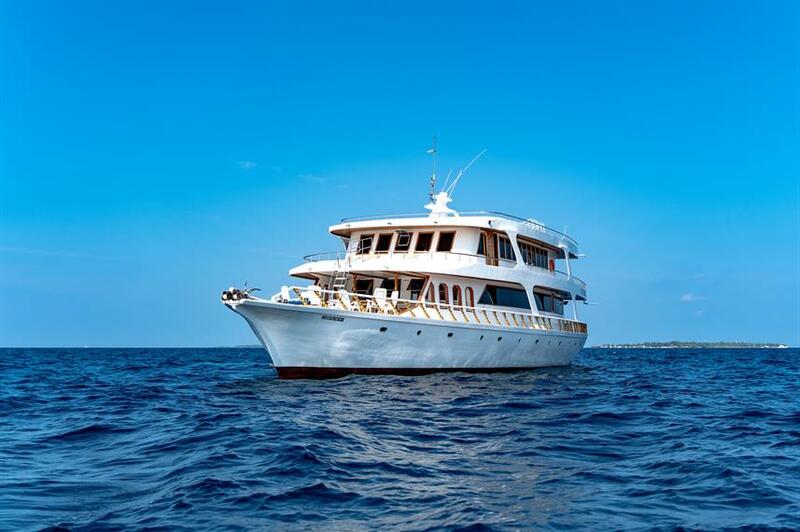 Optionale Extras: Tauchversicherung (20 USD), Trinkgelder, alkoholische Getränke, Erfrischungsgetränke, Leihausrüstung, Nitrox Kurs (200 USD), Privater Tauchguide, Tauchkurse (200-300 USD), zusätzliche Tauchgänge (45 USD), WLAN (20 USD). 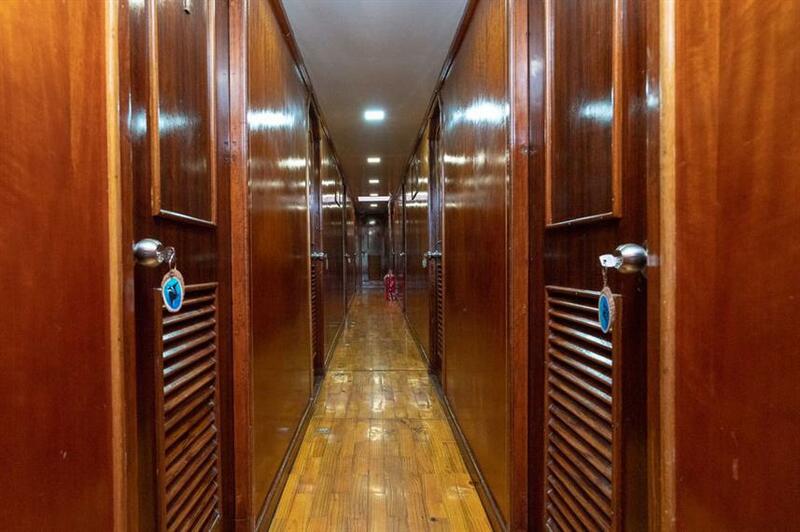 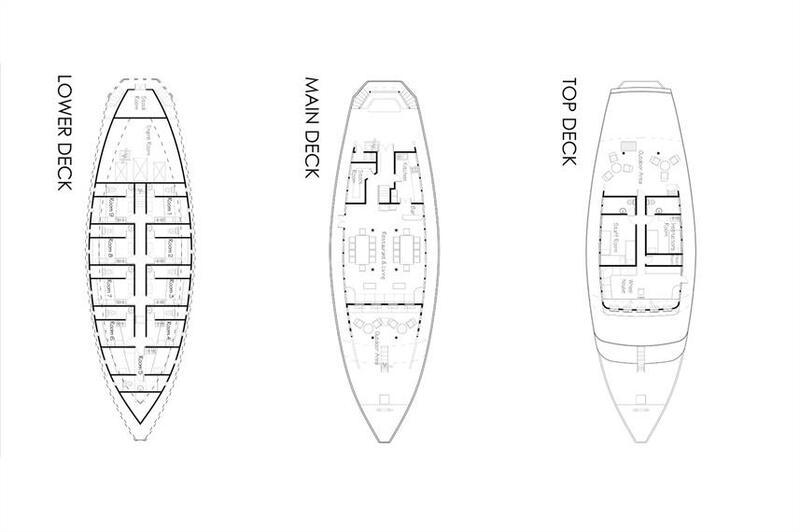 There are 9 cabins located on the lower deck. Each cabin is equipped with bunk-bed style (Single bed upper, wider bed lower), en-suite bathroom and aircon.